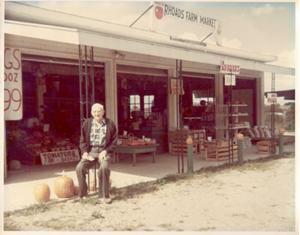 Rhoads farm stand was first operated in 1958 by Brent Rhoads, his father Robert and his wife Lurose, and Bill Friece, Lurose’s Father. Brent, who was 9 years old that summer, was up each morning picking sweet corn, opening the stand by 10 a.m. and closing at dusk. The open-air market continued until 1961 when Rhoads Farm Market moved to a 10’ x 15’ building at the intersection of Hitler Rd and St. Rt. 56. Robert & Lurose lived on the original site of the farm stand and nurtured the business while Brent went away to college and the military. Products that were sold included their own homegrown vegetables, fruits, local eggs, their own whole hog sausage, Amish meats and cheeses, and bedding plants. In 1972, Brent and his new wife Kathy returned to the farm and realized it was necessary to enlarge the business in order to support two families. By the mid 70’s the market expanded to a full service farm market and garden center by adding trees, shrubs, mulch, garden supplies and landscaping. A 1978 fire in the main farm market building prompted further expansion of buildings and greenhouses. 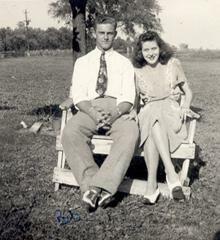 Robert & Lurose continued to work in the family business until the late 90’s. 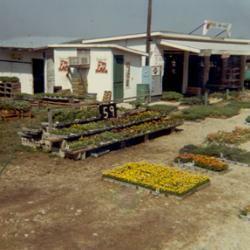 In 1981 Rhoads entered the wholesale tree nursery business; now known as Split Rail Nursery. The nursery produces 110 acres of shade trees, evergreens, shrubs and Christmas trees and the family farm grows 150 acres of fruits and vegetables, which are sold at the farm stand, farmers markets, and wholesale. Rhoads attributes the success of the company to its customers. “The customer is the sole reason we are in business still today.” We listen to our customers to guide us towards which products and services to carry as well as following industry trends on demands of the marketplace. This year Rhoads is excited about being named one of the Revolutionary 100 independent garden centers in the United States. Rhoads will be hosting a series of Hands-On workshops throughout the season as well as some Gourmet Cooking events; sponsored by the Pickaway County Farm Bureau. We again will be harvesting early varieties of strawberries in May, and will have wonderful fresh produce starting in July. Rhoads’ primary focus is to be of service to the gardener or even those who have no gardening skills. Rhoads has expanded its landscape services; through the retail as well as through the Rhoads Landscaping Division. Rhoads offers a “We Plan You Plant” program, where the Garden Center helps you create the perfect landscape, with you installing the plant material & hardscapes. Rhoads Landscaping is there to assist the homeowner with professional design and installation services, and strives to make the landscape process an enjoyment from start to finish. In 2012, the business is still a family operation. The retail Garden Center is owned and managed by Carly (Rhoads) Neff; Rhoads Landscaping by Jeremy Neff; Rhoads Vegetable Production by Brett Rhoads; Satellite Farmer’s Markets by Kathy Rhoads, and Split Rail Nursery by Brent Rhoads. The Rhoads family is excited to be celebrating 54 years of business in the Circleville community this year.